Suffering from sensitive teeth is no fun, let me tell you. I’ve had issues with my bottom teeth for a few years now – most of the time they’re fine, but then every now and again I’ll be enjoying some ice cream or a nice cold drink and BAM! There comes the sensitivity – a nasty little pain that sticks around and makes talking, eating and drinking feel rather unpleasant. I’ve been using Sensodyne for a while now as its the only thing that keeps this at bay, but never the Sensodyne Pronamel range, until now. Sensodyne Pronamel is designed to protect the enamel of your teeth and combat the effects of acid wear. 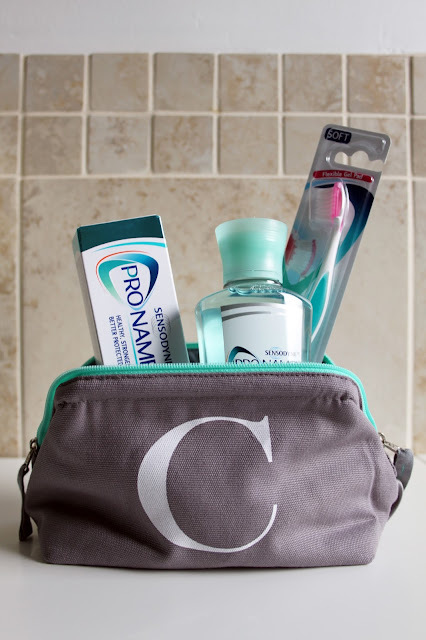 Being an avid (decaf) tea and coffee drinker, wine lover and fan of juices and fizzy drinks, I’m not really doing my teeth any favours, I think we can all agree! 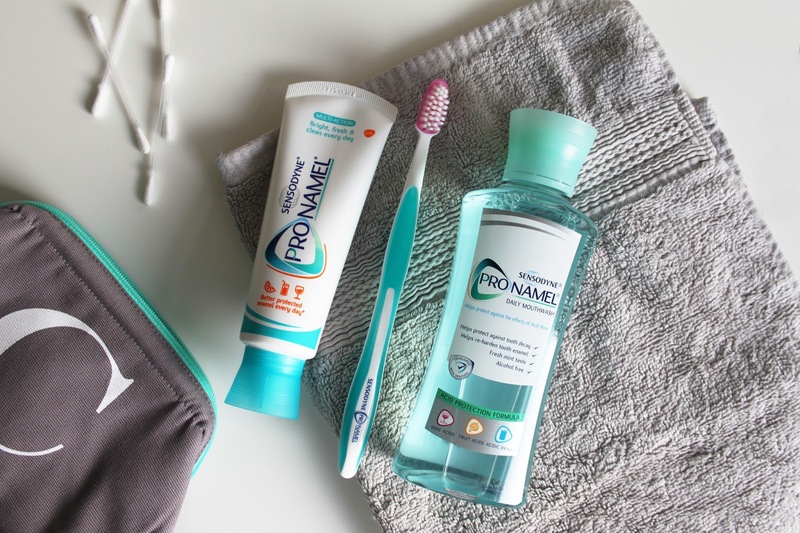 Weakening the outer layer of enamel can cause the teeth to look yellow, which is a big no, so I’ve been using the Sensodyne Pronamel Toothpaste, Toothbrush and Mouthwash religiously for a couple of weeks now. 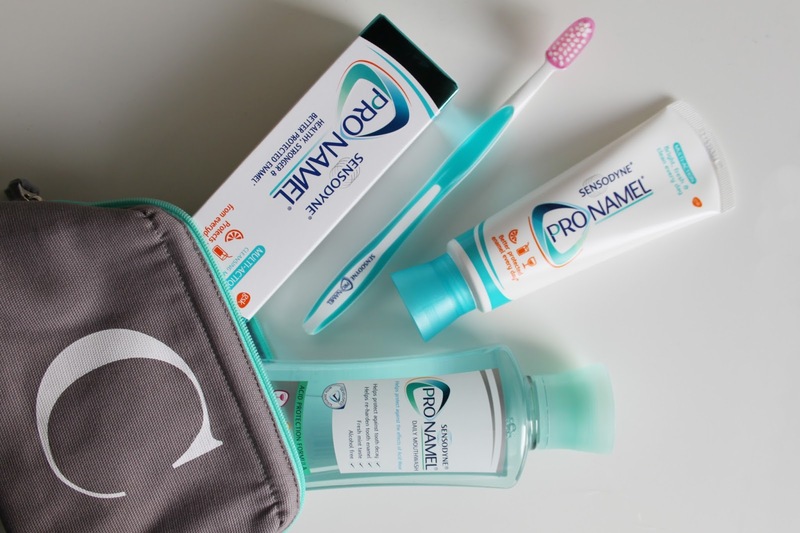 I’ve been really liking the toothbrush for a break from my electric one which can sometimes be a little harsh on my gums, and the mouthwash is a nice taste that doesn’t overpower or leave that ‘spicy’ feeling that others do! Now obviously this kind of thing doesn’t show any immediate results, but what I have noticed is that my teeth feel much cleaner for longer, my mouth feels fresh thanks to the minty taste, but most importantly it’s great to know that I’m now using something that not only makes my teeth feel clean and look brighter, but also protects them in the long run. I absolutely despise trips to the dentist thanks to bad experiences as a child, so anything to prevent visits there is a big plus in my books!! Have you tried anything from the Sensodyne Pronamel range? What other products from Sensodyne would you recommend for a sensitive teeth sufferer like me? !